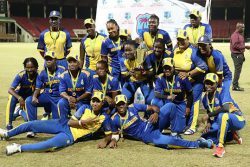 ST JOHN’S, Antigua, CMC – Leaders Barbados produced a sterling final quarter performance as they beat St Lucia 29-25 in their pivotal final game, to maintain their unbeaten run and capture the Caribbean Netball Association’s Jean Pierre Memorial Junior Championship here Thursday. BARCELONA, (Reuters) – Barcelona closed in on the La Liga title after beating 10-man Atletico Madrid 2-0 in yesterday’s top-of-the-table showdown at the Nou Camp as late strikes by Luis Suarez and Lionel Messi gave the Catalans an 11-point lead at the top of the table. 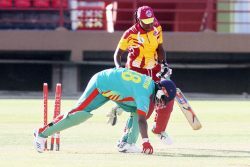 Two titanic tussles are slated to highlight this weekend’s Georgetown Cricket Association (GCA) fixtures. 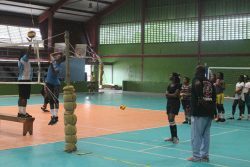 The selection committee of the Guyana Volleyball Federation (GVF) has shortlisted a female and male volleyball team to represent Guyana in the upcoming Inter-Guianas volleyball tournament set to spike off in French Guiana from May 2-4. 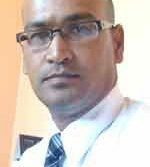 The Berbice Cricket Board, through its counsel, Attorney-at-Law, Arudranauth Gossai, is expected to challenge Minister of Social Cohesion, with responsibility for Sport, Dr George Norton’s appointment of Stephen Lewis as the Cricket Ombudsman. 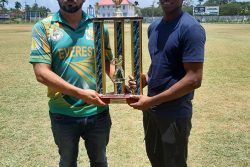 Thirteen community-based teams will contest the Playoff Round for the Guinness ‘Greatest of the Streets, East Coast Demerara edition tomorrow at the Haslington Market Tarmac. 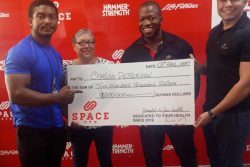 The Guyana Amateur Powerlifting Federation (GAPLF) and the New Campbellville Secondary School received cheques worth $1M each yesterday from the National Sports Commission (NSC) through Director of Sport, Christopher Jones. 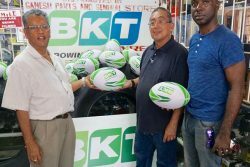 Roop Persaud, CEO of Ganesh Parts and General Store presented balls to the Guyana Rugby Football Union (GRFU) yesterday. Guyana’s first-class player Christopher Barnwell produced a stellar all-round showing for GA Spartans at the weekend to guide the side to championship honours in the cricket4life tournament in St.
Back Circle, Future Stars, Melanie and Bent Street secured convincing wins when the Stag Beer Futsal Championship resumed on Thursday at the National Gymnasium, Mandela Avenue. 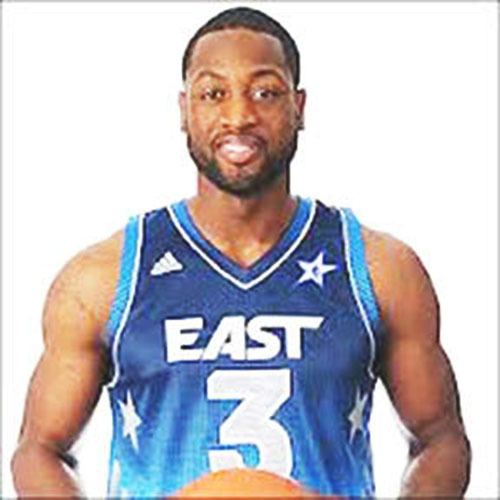 Miami Heat star Dwyane Wade said life after basketball will include making visits to a clinician. (Reuters) – Afghanistan replaced long-serving one-day international captain Asghar Afghan with Gulbadin Naib yesterday, less than two months before this year’s 50-over World Cup in England and Wales. 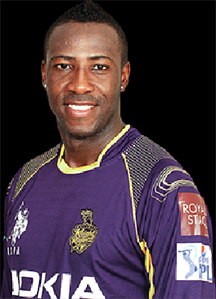 BENGALURU, India, CMC – West Indies all-rounder Andre Russell smashed another breathtaking cameo to surpass 200 runs in just four innings this season, as Kolkata Knight Riders moved into second place in the Indian Premier League standings with a convincing five-wicket victory over Royal Challengers Bangalore here yesterday. 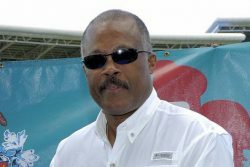 BRIDGETOWN, Barbados, CMC – Leading regional academic and noted cricket author, Professor Sir Hilary Beckles, believes a head coach of Caribbean origin should preside over West Indies’ campaign at the upcoming ICC World Cup. 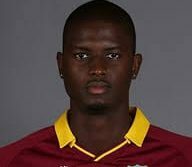 LONDON, CMC – West Indies captain Jason Holder was eyeing a half-century on county debut as he made an encouraging start to life in the Championship, helping Northamptonshire bat the entire opening day of their contest against Middlesex here yesterday. 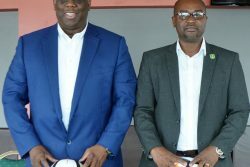 Guyana Football Federa-tion [GFF] President Wayne Forde yesterday disclosed that the entity has sealed developmental partnerships with Denmark’s Football Association and Union of European Football Associations [UEFA], with a Memorandum of Understanding [MoU] slated to be signed in June. 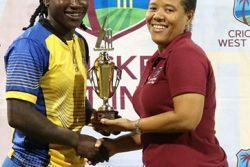 The ruling in the High Court by Justice Fidela Corbin that the Executive Committee of the Guyana Cricket Board (GCB) is illegal, has reportedly resulted in the calling off of the scheduled April 6 hosting of the Inter-County Under–17 tournament. 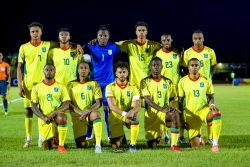 March 23rd 2019 will forever be remembered in the annals of Guyana’s sporting history as on that date, the Golden Jaguars sealed their berth to the CONCACAF Gold Cup. 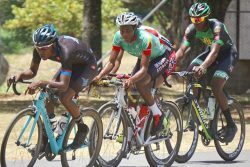 The second quarter of the cycling season rides off on Sunday in Linden with the staging of the eighth annual Baker’s Memorial Cycling Classic. 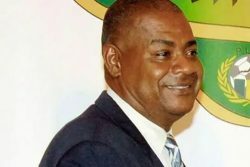 KINGSTON, Jamaica, CMC – Jamaica Football Federation (JFF) president Michael Ricketts said he expects the sport in the island to receive a huge boost after it was revealed that Jamaica will stage a couple of matches in this summer’s CONCACAF Gold Cup. 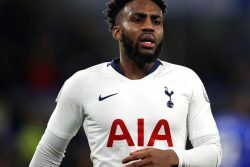 LONDON, (Reuters) – England defender Danny Rose has had enough of racism in the game and said he cannot wait to get out of football amid frustration over the response of the authorities to the abuse. 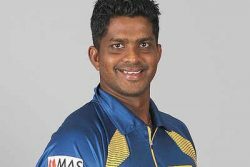 (Reuters) – Former Sri Lanka international Dilhara Lokuhettige has been charged with three counts of breaching the International Cricket Council’s anti-corruption code, the sport’s governing body said yesterday. 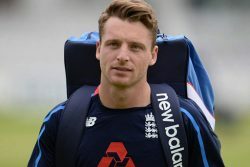 (Reuters) – England’s Jos Buttler has vowed to make sure he is never dismissed by a “Mankad” run out again after losing his wicket that way for the second time in his career during an Indian Premier League (IPL) game last week. 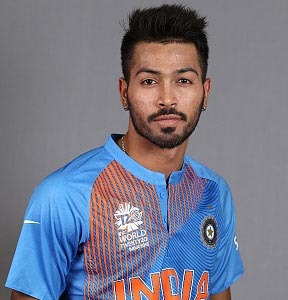 MUMBAI (Reuters) – Hardik Pandya will be a key cog in India’s tilt at the Cricket World Cup this year but the past few months have been a “reality check” for the all-rounder, who has had to deal with injury problems and controversy off the field India has produced a plethora of spin-bowling all-rounders suited to Asian conditions but past tours to Australia, England and South Africa have highlighted the need for a batsman who can turn his arm to fast bowling. 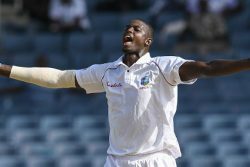 LONDON, CMC – West Indies captain Jason Holder said his upcoming stint with English county side Northamptonshire was a big opportunity that he welcomed with open arms. 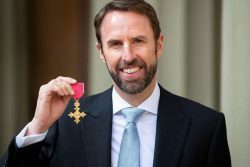 LONDON (Reuters) – England football manager Gareth Southgate received the OBE award at Buckingham Palace yesterday after steering the national team to the World Cup semi-finals in Russia last summer. 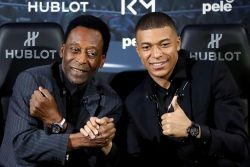 PARIS (Reuters) – Brazilian soccer great Pele was hospitalised in Paris with a strong fever but his condition is not life-threatening and he should be released “within a couple of days,” one of his long-time friends said on Wednesday. BARCELONA (Reuters) – After somehow snatching a 4-4 draw at Villarreal in one of the most memorable games in recent La Liga history, Barcelona can practically seal the title when they host nearest challengers Atletico Madrid tomorrow. (Reuters) – Wolverhampton Wanderers have exercised the option to sign on-loan striker Raul Jimenez from Benfica on a permanent deal and the Mexican has penned a four-year contract, the Premier League club said yesterday. WELLINGTON, (Reuters) – Less than 18 months ago, New Zealand all-rounder Jimmy Neesham had become so disaffected with cricket he would open the curtains on match day and hope it was raining. (Reuters) – Jason Behrendorff marked his Indian Premier League (IPL) debut with two wickets on Wednesday but the Australian fast bowler knows he needs to deliver consistently to stake a claim for a Cricket World Cup spot. 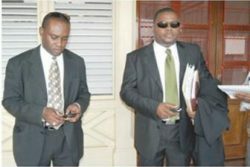 The Guyana Cricket Board (GCB) which has been in an administrative dilemma over the last several years, was yesterday deemed illegal by High Court Judge Justice Fidela Corbin. 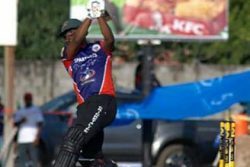 Jamaica and the Windwards yesterday recorded victories over Trinidad and Tobago and the Leeward Islands respectively in the final round of the Cricket West Indies T20 Blaze at the National Stadium, Providence. 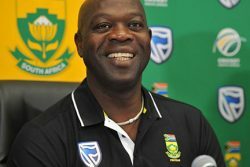 The path has been cleared for Carlos ‘The Showstopper’ Petterson-Griffith to earn more international acclaim. LONDON, (Reuters) – Tottenham Hotspur marked their long-awaited homecoming with a vital 2-0 win over Crystal Palace in the first Premier League game at their new stadium yesterday to revive their faltering top-four hopes. SANTA CRUZ, Bolivia, (Reuters) – Being subjected to racist taunts not only prompted Brazilian winger Serginho to walk off the pitch during a Bolivian league match but also left him questioning his future in the sport. (Reuters) – When the fight for gender equality in golf is chronicled Augusta National will not be the key battle but it will be remembered as a provocative flashpoint and the site of another small victory this week when the club hosts a women’s tournament. NEW YORK, CMC – Jamaican Brian Brown netted his fourth goal of the season to help lay the platform for an easy Reno 1868 FC win but fellow countryman Omar Gordon dashed those hopes by setting up one goal and scoring the equaliser in injury time, as OKC Energy FC snatched a dramatic 3-3 draw in the United Soccer League championship last weekend. PARIS, (Reuters) – Brazil soccer star Pele was hospitalised in Paris late on Tuesday, although he is not in a life-threatening condition, RMC Sport reported on its website. 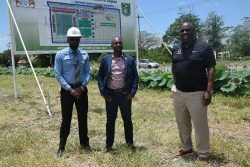 CONCACAF Project Director Howard McIntosh yesterday said that infrastructure development is fundamental to the advancement of football locally adding that the partnership between the GFF and the Government of Guyana is also essential for the discipline’s growth. 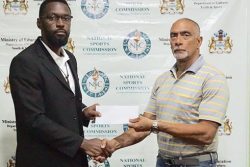 Sparta Boss, Gold is Money, Tiger Bay and North East La Penitence all won their matches when the Stag Beer Futsal Championship resumed Tuesday at the National Gymnasium, Mandela Avenue. 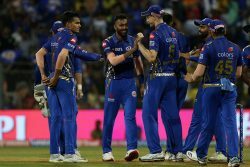 Brief Scores: Mumbai Indians: 170-5 (Suryakumar Yadav 59, Krunal Pandya 42) defeated Chennai Super Kings: 133-8 (Kedar Jadhav 58, Jason Behrendorff 2-22, Lasith Malinga 3-34, Hardik Pandya 3-20) by 37 runs The Mumbai Indians (MI) registered their second win of the VIVO IPL 2019 when they defeated table-toppers Chennai Super Kings by 37 runs at the Wankhede Stadium last evening. 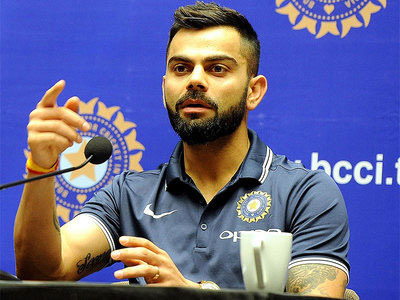 MUMBAI, (Reuters) – Royal Challengers Bangalore captain Virat Kohli has hinted at making wholesale changes to his team after Tuesday’s Indian Premier League (IPL) defeat to Rajasthan Royals left them the only winless side in the Twenty20 tournament. 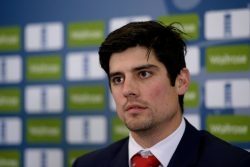 (Reuters) – Former captain Alastair Cook believes England have an “outstanding chance” to lift the World Cup on home soil, having built a squad full of proven match winners. 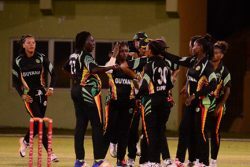 Guyana recorded their third straight win after defeating Windward Islands by 18 runs in the fourth round of the Cricket West Indies T20 Blaze last night at the National Stadium, Providence.